« Congratulations on the victory! On March 10 to 19 Viyaliy Fil and Myron Tsaitler, associate professors of the Department of Biology and Natural Sciences visited University College Vives in Belgium (Brugge campus) in the framework of Erasmus + program in order to study their system of educational process and methodical and educational activities. 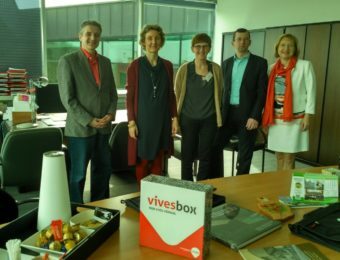 While in VIVES the researchers conducted a meeting with the college management and teachers, established contacts for international cooperation in the prevention of noncontagious diseases, environment, teacher training. 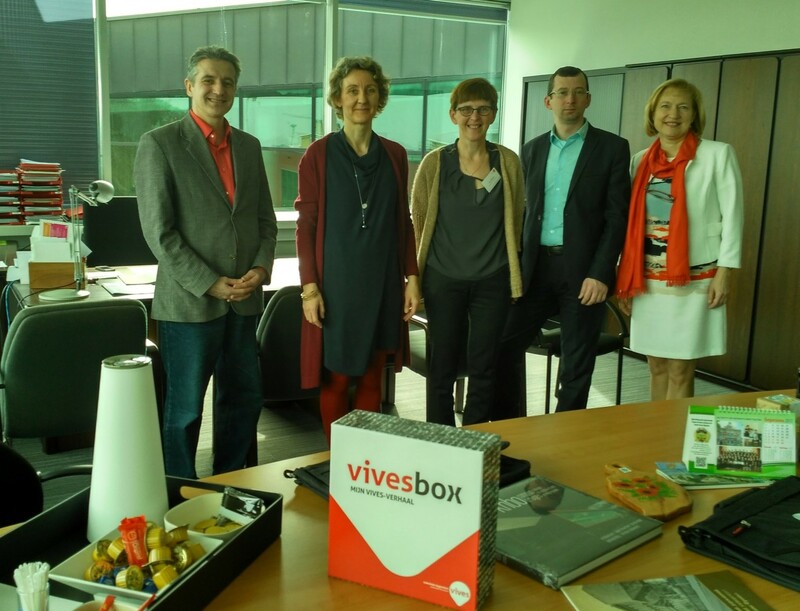 On March 13 to 16 associate professors V. Fil and M. Tsaitler took part in an international week held in University College VIVES, Brugge campus. The scholars gave lectures and shared their experience and research results on the topic: «Health of the future generation project», and attended lectures and workshops of Belgian colleagues. The international week was attended not only Belgians and Ukrainians but also scholars from the US, Spain, Italy, Portugal, Brazil and Finland. 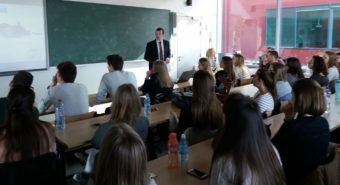 Besides, they had a working meeting with the Honorary Doctor of Ivan Franko State Pedagogical University in Drohobych, President of VZV ORADEA International Association Patrick Bellinck. The meeting was also attended by Lutgarde Bague, Ivan Van Hulle, Nancy Bouskez and Svitlana Musina, during they which discussed the prospects and areas of future cooperation. During the working visit a rich cultural program was organized for our colleagues during which they visited the picturesque sites of Bruges, Brussels, Lier and Antwerp. 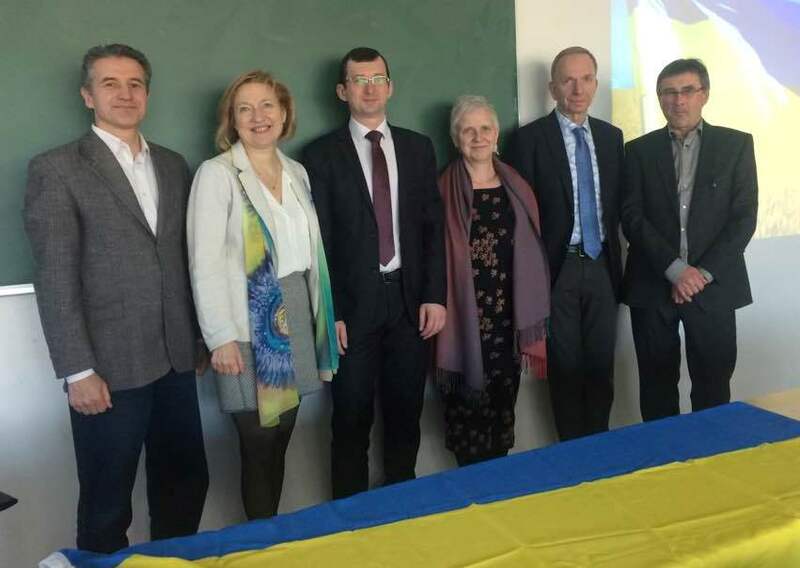 Left to right: Myron Tsaitler, Svitlana Musina, Vitaly Fil, Lutgarde Bague, Patrick Bellink, Ivan Van Hulle.